If only all kids had the same opportunities to succeed! Unfortunately, some are trapped in a cycle of poverty that creates barriers, holding them back. Bee Me Kidz, an exciting, privately funded, non-profit, FREE program for at-risk kids, is changing that by helping young children in priority neighborhoods shake off the shackles of poverty. Partnering with parents, schools and communities, Bee Me Kidz empowers and inspires disadvantaged children to develop the social and emotional skills that will enable them to succeed in school and life. The need for the Bee Me Kidz program is real. Child poverty in Canada is a growing problem and poverty-related stressors can severely impact a child’s ability to learn in school. The result is often low grades and high dropout rates that perpetuate the cycle of poverty. 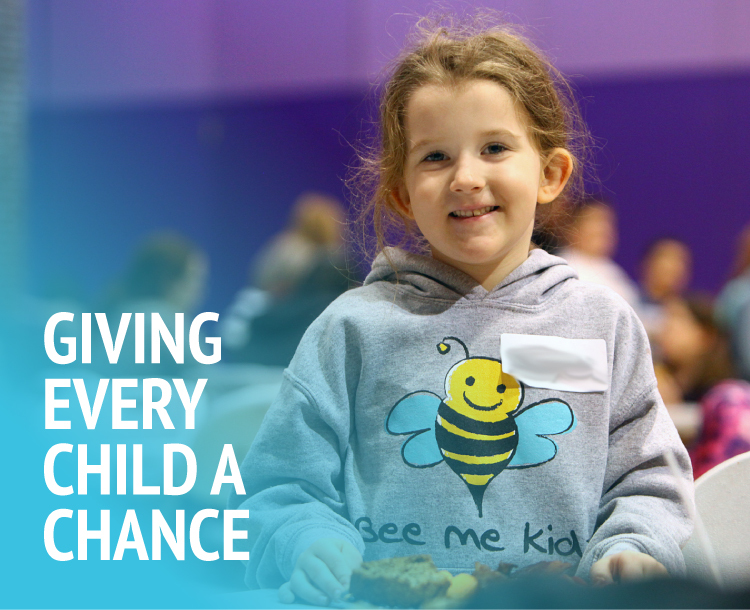 Bee Me Kidz levels the playing field for less fortunate children by helping them develop the skills and resiliency they need to have the same learning potential as other Canadian kids. 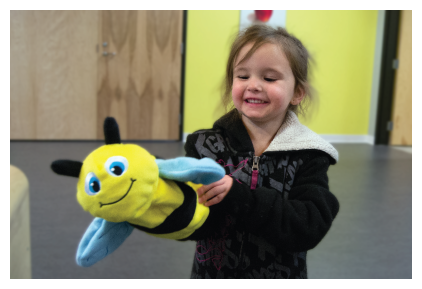 Through crafts, games and social activities plus the world-renowned PATHS® (Promoting Alternative THinking Strategies) program, Bee Me Kidz children have fun and develop friendships as they learn important social and emotional skills. A bounty of wholesome, nutritional meals and snacks is provided, and every BMK child receives a free hoodie, plus an LL Bean bookbag after attending for six weeks! The program even has a parental support component (with free babysitting for BMK siblings), so that the benefits can continue at home. There is also an integration plan that brings Bee Me Kidz into the classroom at priority schools. Bee Me Kidz values its partnerships with parents, guardians and schools, and actively seeks their input and feedback. Bee Me Kidz is transforming lives and communities! It operates FREE OF CHARGE from four locations every Saturday during the school year from 10:00 a.m. until 2:00 p.m.
Our initial focus was on children in grades one and two living in Saint John, NB where there are high rates of poverty and low graduation rates. The program was such a phenomenal success that, in September 2015, it expanded to include children in grade three. Longer term, we plan to extend our reach to kids of other ages and other priority communities.